Superdry women's Georgia short sleeve sweat dress. 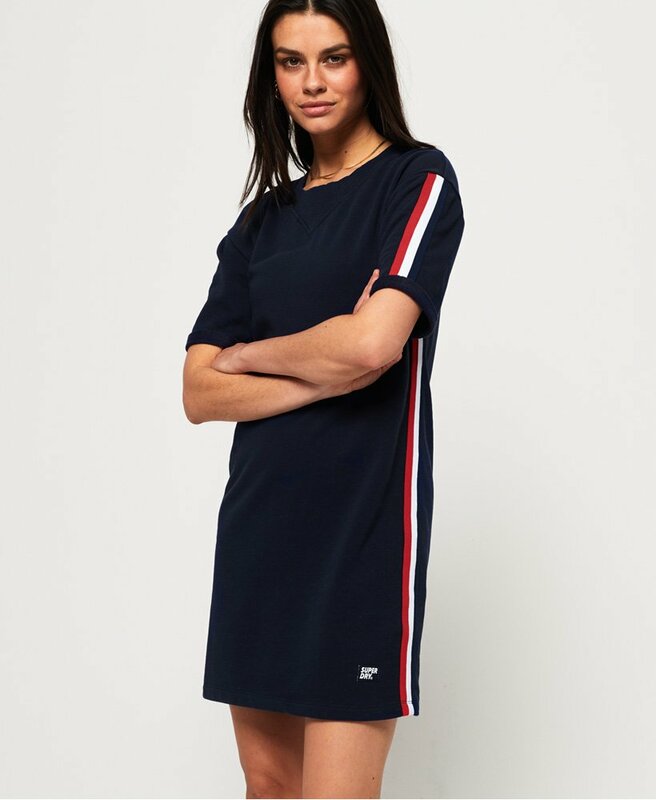 Go through the everyday in comfort and style with the Georgia sweat dress. This dress features a ribbed collar, rolled sleeves and stripe detailing down the sleeves and sides. Finished with a logo badge above the hem, complete the look with a denim jacket and trainers.